Remember how your mom used to tell you to put down the video games? Well, she can't tell you what to do anymore! A new exhibit, "The Art of Video Games," kicks off this weekend with a three-day festival, and you're an adult now, and can do whatever. you. want. Take that, Mom! The exhibit at the American Art Museum (8th and F streets NW) features discussions with video game pioneers, meet-and-greets with designers and artists, movie screenings, costume photo ops, and naturally, the chance to play games. 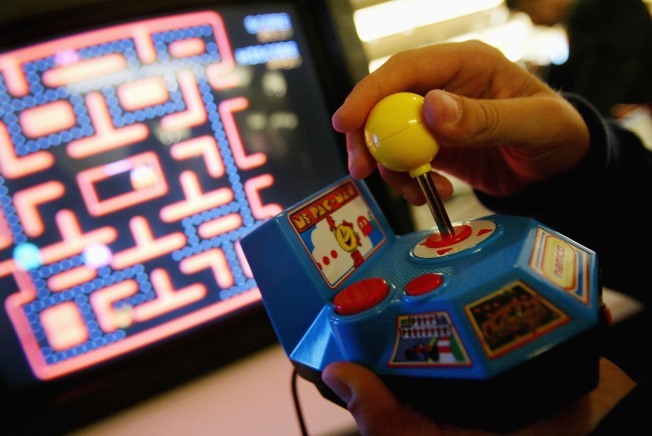 GameFest kicks off Friday, March 16 with a discussion on the evolution of video games. See the complete schedule here. The exhibit itself runs through Sept. 30. Video games, the Smithsonian says, are "amalgam of traditional art forms -- painting, writing, sculpture, music, storytelling, cinematography." The exhibit explores four decades of gaming history and the development of new technologies, featuring the evolution through 80 games. Five featured games from different eras illustrate the differences in player interaction. And on Saturday, April 7, the Strathmore (5301 Tuckerman Lane, North Bethesda) will host Video Games Live, with exhibit curator Chris Melissinos as a special guest, at 2 p.m. and 8 p.m.